Regular readers recently learned a bit about the Fletcher Educational Enrichment Fund (FEEF), a small grant program that helps students pursue experiential learning opportunities such as professional and scholarly conferences and independent research projects. 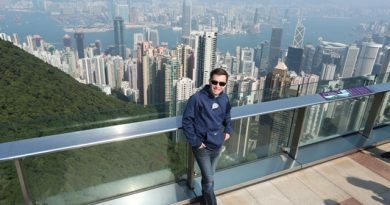 Second-year MALD student Kevin recently used FEEF support to make a flash weekend visit to Hong Kong – that’s right, Hong Kong, in a weekend – for the annual conference of the Society of Interdisciplinary Business Research. It’s been a busy week at Fletcher, which means a busy week for this blog, as well. There are so many events that take place throughout the year here that it’s impossible to highlight them all on this platform, but one happening today particularly caught my attention. 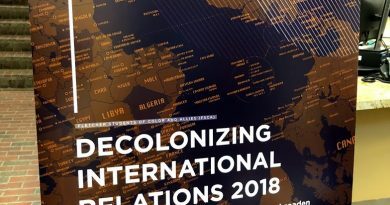 The inaugural “Decolonizing International Relations” conference is currently in progress, and it’s an impressive event. Organized by the student-run Fletcher Students of Color and Allies (FSCA), the conference will apply critical theory to a variety of subject areas, highlight non-Western contributions and perspectives in academia and the field, and explore the role of power and access in the study and practice of international relations. Fletcher Africana Conference — Today! Tufts Innovation Symposium — You’re invited! Africana Conference — You’re invited!